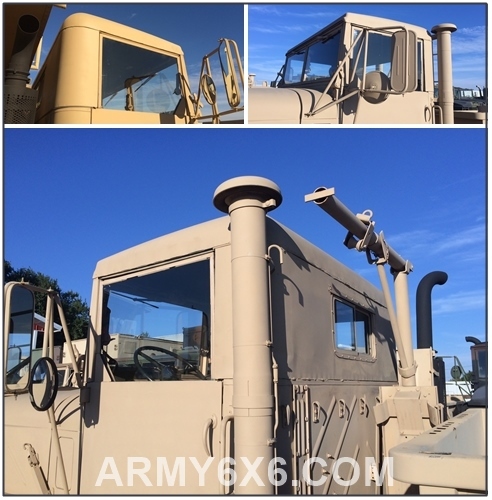 Army 6x6 LLC specializes in conventional style cab configured M35, M809 and M939 series 6x6 trucks. We can assist with all repairs by supplying individual parts to larger major components such as transfer cases, axles, etc. Having repaired 100's of these trucks let our expertise help you get your 6x6 back in top operating condition. Limited Supply of M939 series hardtops available. These are used takeoff genuine US military hardtops not fiberglass reproductions. Steel constructions with insulation. Rear sliding glass window. Prices range from $1,500+ depending on condition. We will ship! PIGGY BACK BRAKE CHAMBER for M939 series 5 ton fits M923, 925, 931, 932, 927, 928, 932, 925, 936, 929,930 For both A1 and A2 series Spring Brake. NEW Bendix part. Not NOS. $ 285 We can walk you through the install. 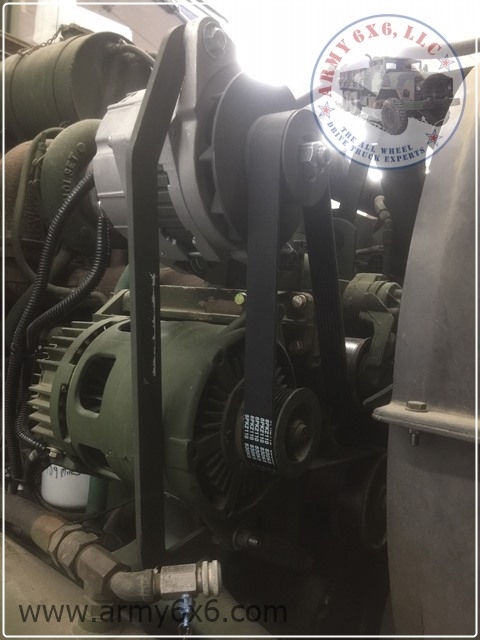 M939 5 ton complete hydraulic front winch kit. 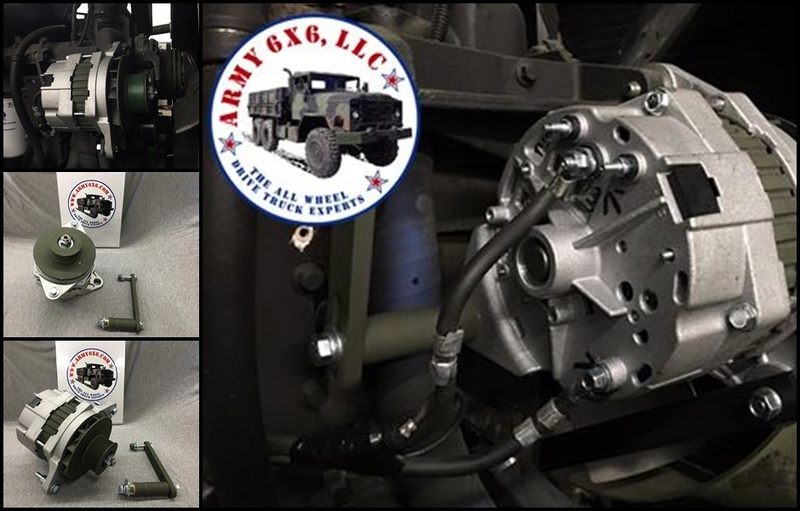 Winch kit was removed from an A1 series M939 5 ton truck. 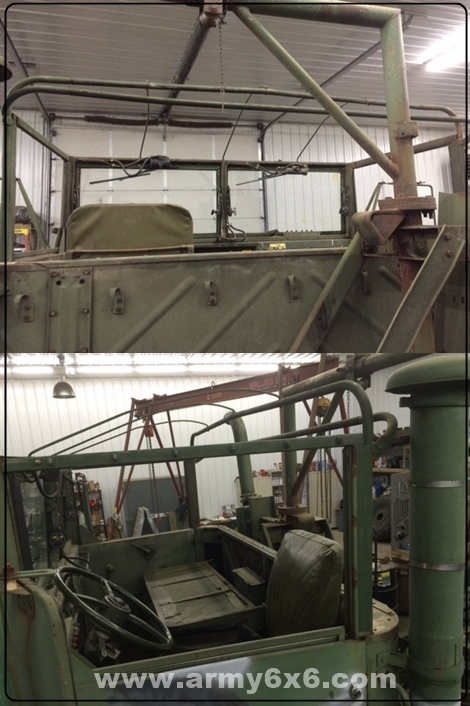 Unit was tested before removal and is complete with pump, PTO, driveshaft, control tower for cab, winch and frame extensions. $2,100. We can ship! 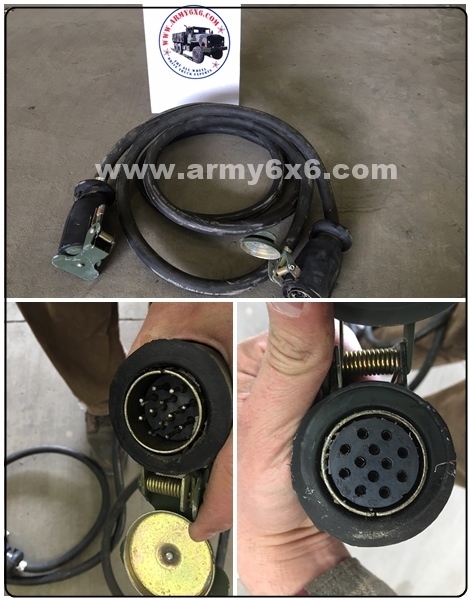 5 ton zippered knuckle boot for m939 and m809 5 ton trucks. 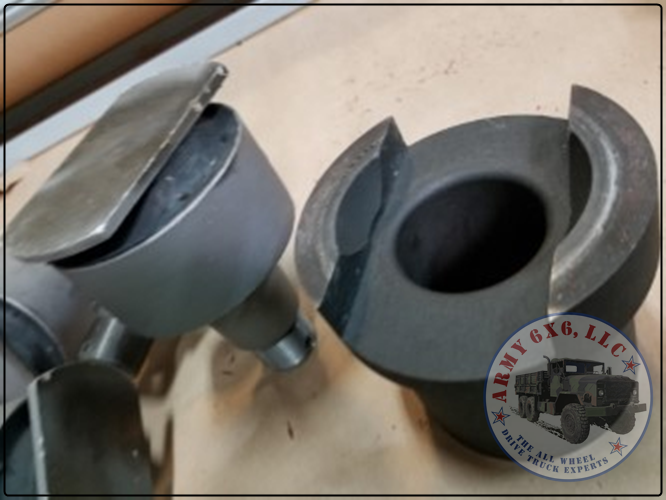 We have tried different brands of knuckle boots and this mfg seems to be the most durable while also being more pliable for an easier install. $40 each. 5 ton Rubber Torque Rod End Bushing with Integral Keeper Bar. Minimizes the chance of axle moving causing damage to other components and losing control should rubber insert fail. Great price for added security. Bushing Fits existing dog bone. 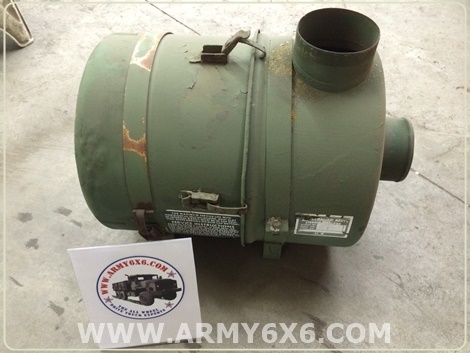 5 ton air filter for m939 and m809 series trucks. New production not old surplus. Fits M923, m923a1, m923a2, m931, m931a1, m931a2, etc. nsn 294000144657. $90 each. NEW M939a2 serpentine belt for 8.3 liter Cummins C series diesel. NEW ITEM: M35a2 2.5 ton master cylinder. This is a new unit and not rebuilt. This will not fit m35a3 trucks. PN 7539267 NSN 2530007539267. $90 each. We also have rebuild kits available. NEW ITEM: Lots of Gauges!! 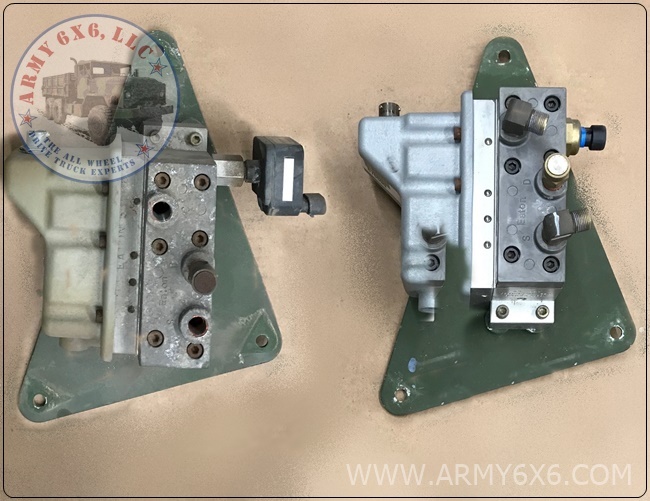 M939 5ton m809 ton and m35 m35a2 available. Temperature, air pressure, oil pressure both mechanical and electric, tachometer, speedometer, etc. call with needs. We also have sending units and drive cables. Fan clutch actuator for m939a2 and M939a1 5 ton. 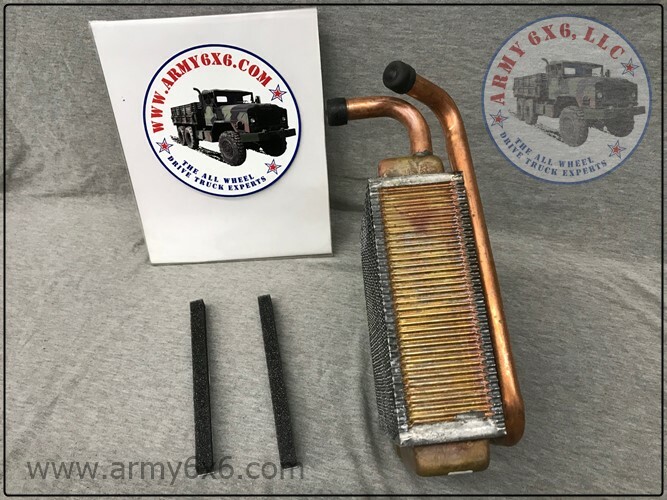 Fits both NHC 250 and 8.3 C series Cummins diesel. No adapter needed for install unlike most being sold. American made part. NSN 2930012855027 $172 each. Fuel shutoff solenoid for m939a2 8.3 C series Cummins engines. This is NOT a cheap unreliable Chinese might fit part. Made in USA genuine Cummins OEM supplier part. $157 each. CTIS CONTROL VALVE for M939A2,M923A2,M931A2. Take off as is. $225 each. 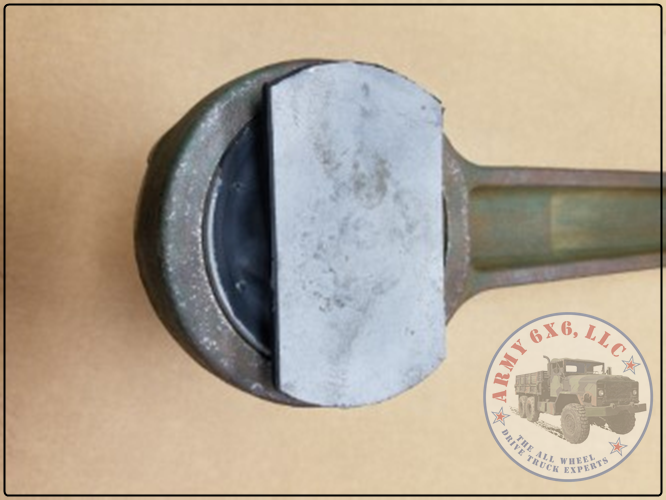 NEW ITEM: Treadle valve for m939 series 5 tons. 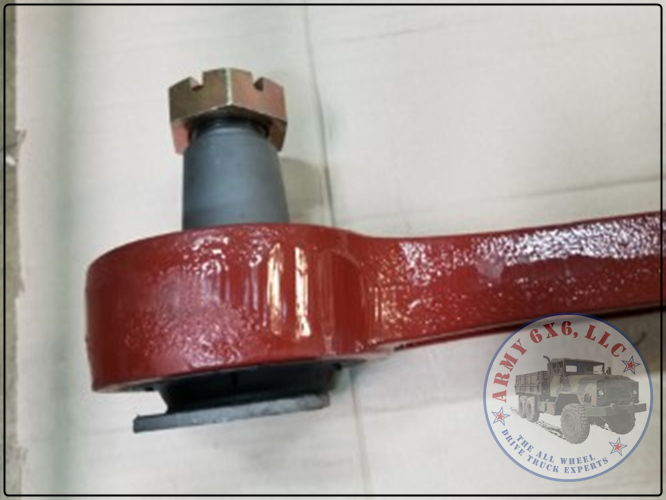 This is a Bendix OEM part and works with ABS and non ABS equipped m939 series trucks. NSN 2530011126435. $185 each. 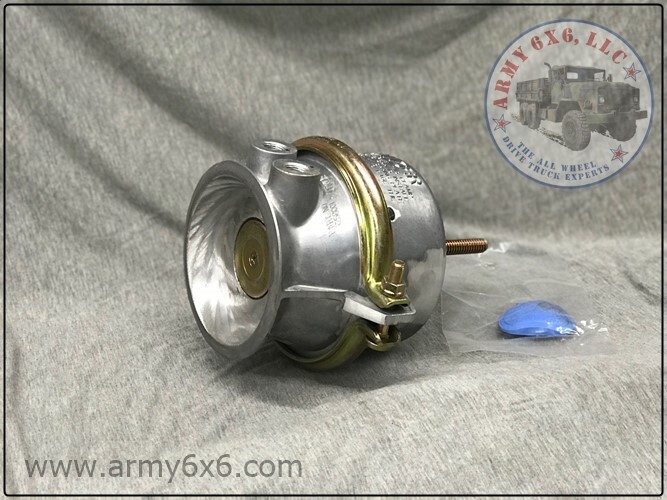 NEW ITEM: Air brake parts for m939 series 5 tons. Call with needs. We can help with your installation questions. NEW ITEM: Need seals? We have them! All M809 and m939 series 5 tons and m35 m35a2 seals we carry. Pinion seals, wheel seals, etc we can walk you through the install. No old surplus seals all are new production! Call with needs! 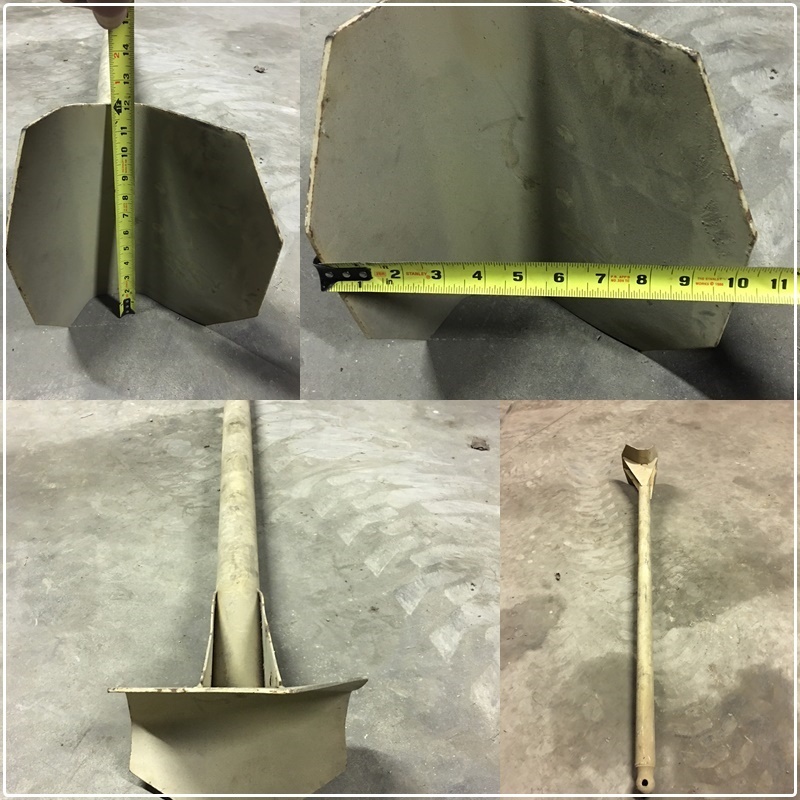 Wrecker spade 83” Long. Can be used with m936 and m816 wreckers and also other applications. Used to anchor your truck from sliding ahead when winching. Appear to be unused. Have 2 in stock. $40 each. We can ship. Diesel fired heater. 28" long by 11" wide by 21" tall. 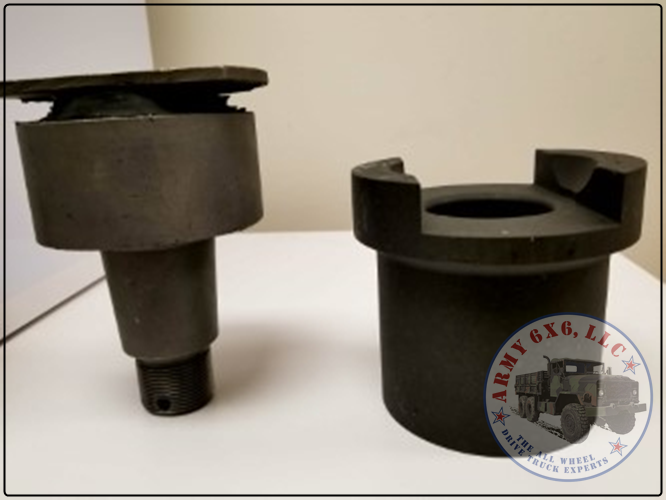 These came out of m934 expandable vans. None of the heaters have been test fired. Made by Hunter Mfg Co. Model UH-68. Volts 120ac 50/60hz 7.0 amps. 60,000btu. Units are as is - we can ship! $200 each. Operators Manuals. Various M939 and M809 5 ton operators manuals. Reading up on these manuals is a mandatory to familiarize yourself with your trucks operation. $30 each. Canvas and vinyl bags also available. Various Clevis styles available. 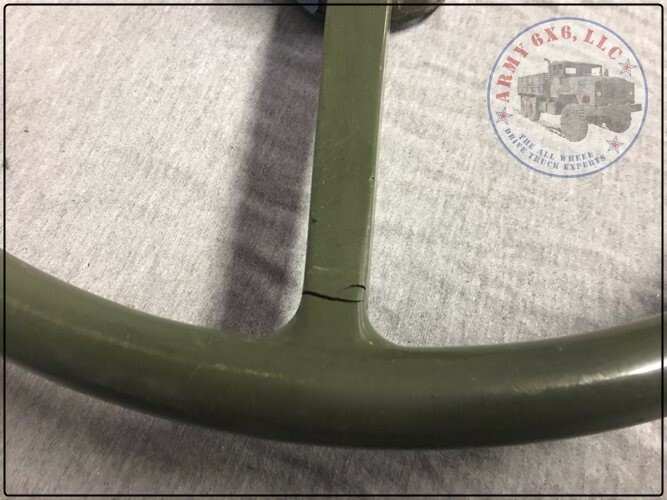 Genuine US military that came off front bumpers. $20 each. 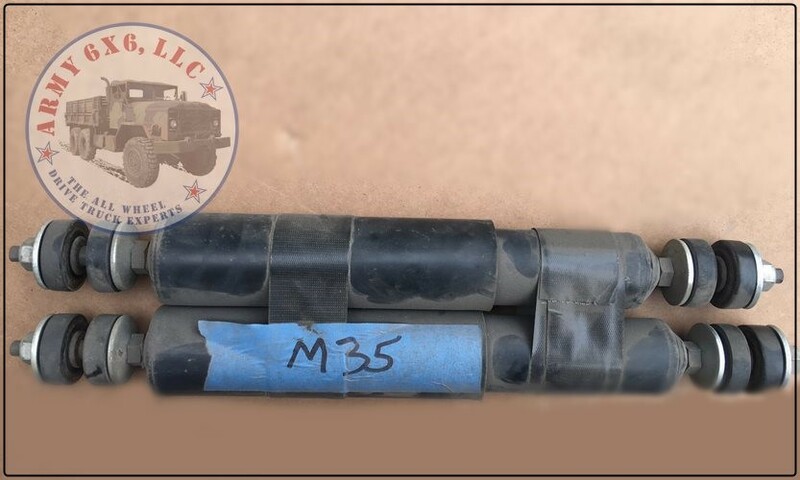 NEW ITEM: M35a2 steer axle and one drive axle. Sold as a set. Not other sets available. Sold as axles only- Tires and springs not included. These came off a running and driving truck. $1,300 for the pair. 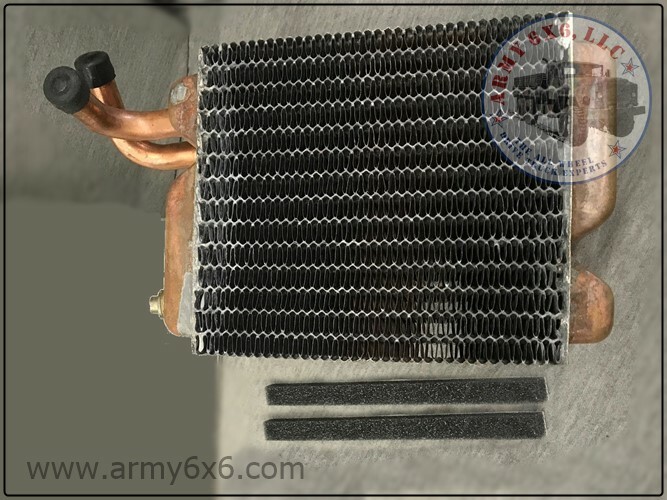 Heater core for m939, m809 5 ton and m44 m35a2 2.5 ton truck. These are well built and New production by the Original oem manufacturer. Inlet and outlet hose orientation matches the m939 oem heater for a clean install with no modifications. These fit m923a2, m923a1, m931a2, m818, m813, m35a2 , etc. We can walk you through the install. $220 each. Part as pictured. 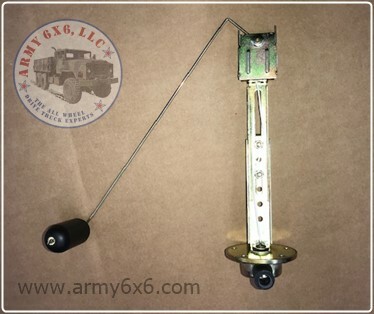 NEW ITEM: CTIS parts for m939a2 trucks. Good take off CTIS parts from controllers, wheel weights, covers, air hardware, etc. Call with needs. We also sell the hardware to disable CTIS. M939 5 ton soft tops. Good selection of take off insulated vinyl green camo and tan soft tops in stock. $125 per top without steel bracing. Soft top bracing and support bows also available at additional cost. 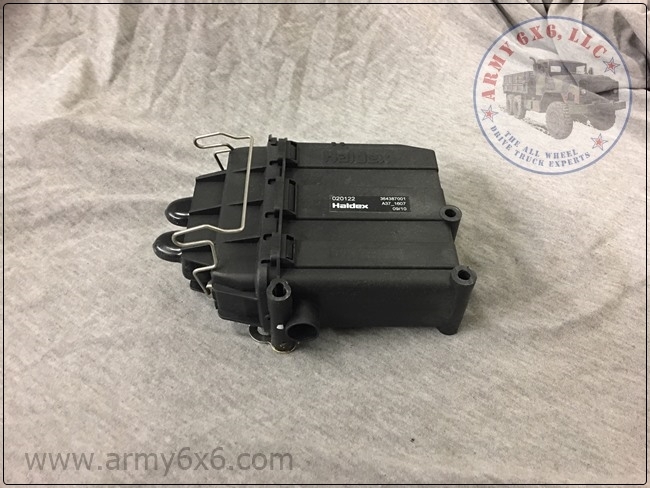 Fits BMY and AM General m939 5 ton, m923, m923a1, m923a2, m925, m925a1, m925a2, etc. M939 5 ton, m809 5 ton and m35a2 2.5 ton soft top braces available. Like new complete take offs- driver and passenger side bracket, two back rods and 3 roof supports. $75 for kit as shown in picture. Soft tops also available in tan and green colors. Call with needs. We ship!! M35 and m809 5 ton STEEL HARDTOP. Only two left. Both were like new and came off fresh government rebuild trucks and have been inside since removed. Excellent overall condition. We can ship! 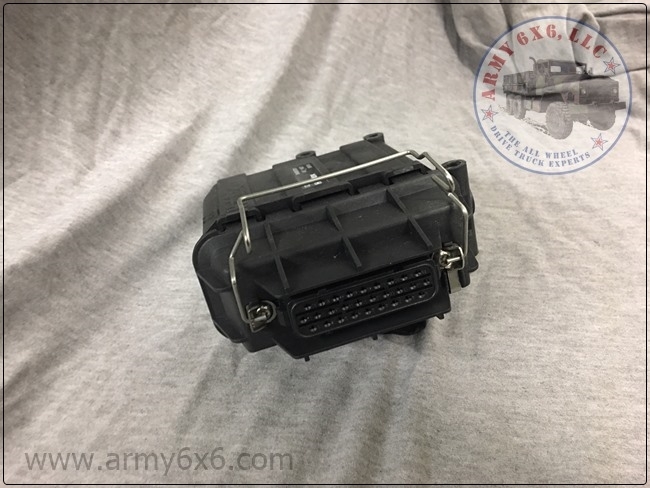 Fits m35a2, m36a2, m35a3, M818, m814,m816,m813, etc. $900 each. Warning triangle kit. Comes with three triangles. Required to be DOT compliant with most commercial vehicles. $10 for as pictured/like new. $8 for good used. Jerry Can nozzle with screen on end. $15 for like new. $10 for good used. 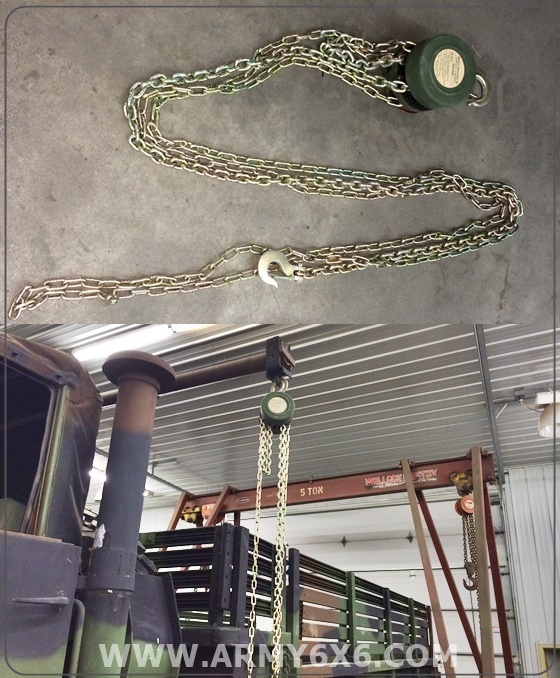 Trailer harness approx 12ft long. We also have some longer harnesses available if needed. Most are like new. $35 for 12ft harness as pictured. 939 5 ton A2 series CTIS controller. Good used take out $70. Eaton model 6AC3500A01 will fit M923a2 M925A2 M936a2 M927a2 M928A2 M934a2 M931a2 M932a2 m929a2 And other A2 5 m939 models. M939 series 5 ton and M35a3 windshield wiper blade. 14" long $9.00 M939 series 5 ton valve stem grommet. These fit the pictured style valve stem which is not included. If you have a leaky tire these are often the culprit. $7 each for grommet. 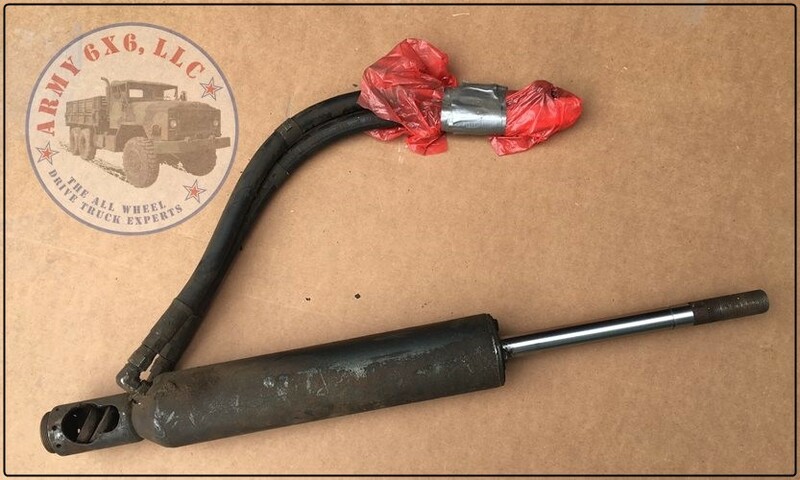 Used on all m939 series trucks. 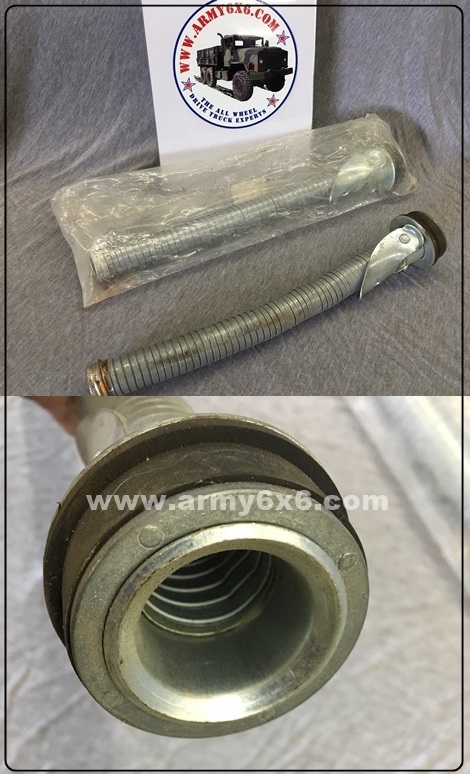 NEW ITEM: M939 5 ton muffler Muffler for m939 series 5 ton trucks. 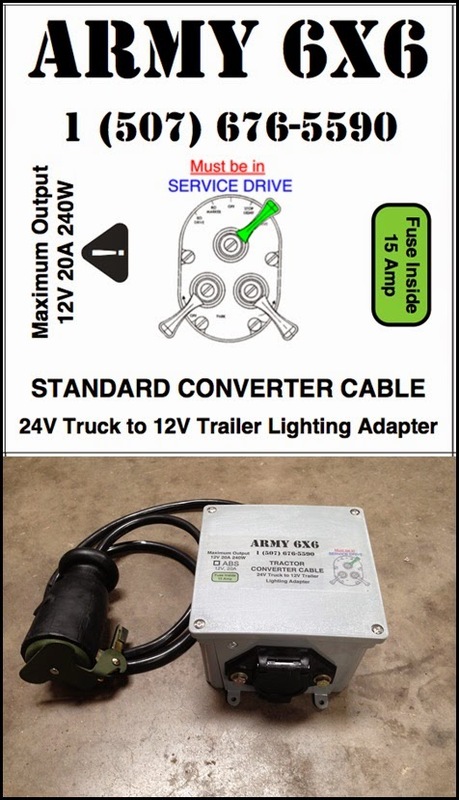 This will fit all m939 series trucks both A0 and A1 series with NHC 250 Cummins and A2 series with 8.3 Cummins power. $185 Need other exhaust parts? Please call us with your needs. 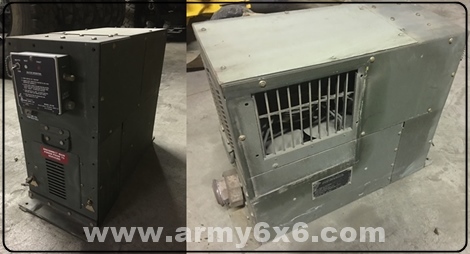 M939 5 ton good used Heater core and housing includes fan housing without fan motor $80; with fan motor $110. Long wheelbase 5 ton 20ft tarp. Tan and green take off tarps in stock. Good used condition. $650 includes bows. Approx 12ft overall length. Overall very good condition. We have 4 in stock- 2 tan and 2 green. We can install these beds on M818 or M931 5 ton semi tractors to make a short heavy duty cargo truck. M35 beds are $600 each. We can load. 14 Foot Drop Side Bed off M923. M923 Dropside Bed- EXCELLENT condition- 2 in stock Approx 14' total length. 12'5" drop side section of bed- the front section if fixed. 34" to outside longitudinal, 28" to inside longitudinal. Great for restoring your M813 or for building or upgrading another flatbed truck. A lot of bed for only $800 each. We can load. Glad hand tire inflator with 30ft hose. Most are Milton air gauges. $45 for used units with missing glad hand adapter or that have air quick disconnect fitting end. These are sold as is. Limited supply of new complete with glad hand adapter tested units for $80 each. Lug Nut Wrenches with 3/4" for inner lug nut and 1.5" hexagon for outer nut. Longer Style in picture with bar $40 each. Shorter style with shorter bar $30 each- Shorter Style does not have 3/4 inner lug nut head just 1.5" for lug nuts. Pioneer Tool Kit Tools- Call or email with what you need. 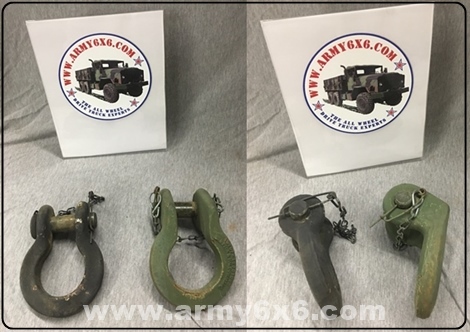 Used Large, Medium, & Small Straps commonly used in the cargo area in the back of 2.5 ton and 5 ton trucks to keep troops from falling out the back in rough terrain. Adjustable. 115" length by 1.75" width. Hooks on the driver side and passenger side troop seats. Great for parades or to;make your 6x6 look correct for shows, etc. $15 each. 20+ in stock. Used Medium strap- 1.5" width by 53" total length with hooks. $9 each. Used Small Strap 1" width x 13.5" length with hook. $9 each. Used Operations Manual Canvas Pouch approx 10" width by 13" length. Manual Books are not included. $12 for canvas. Newer vinyl style available $12. 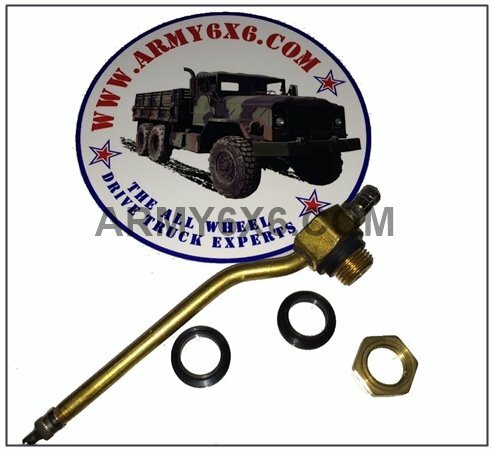 ARMY 6X6 Medium towbar with adjustable legs. Great for towing m35a2, m939 5 tons and smaller vehicles such as Cucv and HMMWV’s. Good working condition. $350. Antenna mounts available of various configurations. $80 each. M939 5 ton spare tire carrier Misc parts and also complete assemblies. We have a0 versions that work with the 1100x20 tire and also A1 and A2 versions that work with the 1400x20 super single tire. Call with needs. We can ship. 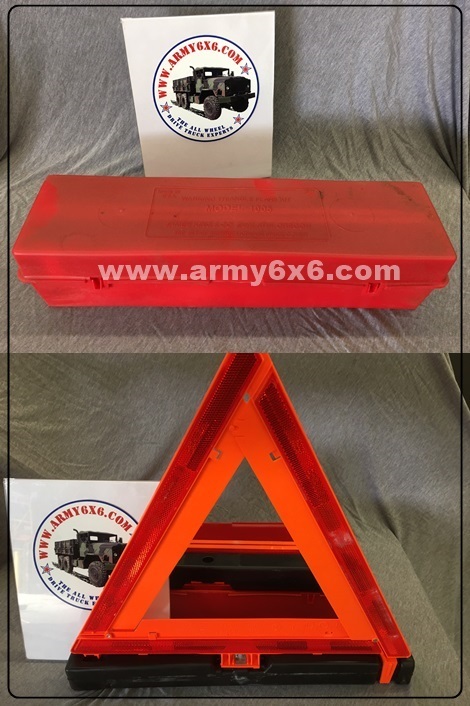 Boarding ladder for m35a2 and m939 and m809 5 ton trucks. Aluminum and steel ladders in stock. We can ship. $275 for aluminum and $200 for steel. M939 5 ton cargo truck mudflaps which fit both m923 and m925 and m927 m928 amongst others. A great way to replace your bent, missing or rusty ones. $40 each including brackets. 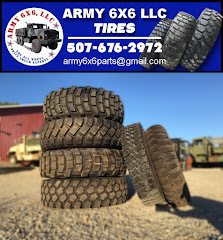 ARMY 6X6 Curved tire fender for m931a0, m931a1 and m931a2 semi tractors. Excellent condition take offs. Replace your bent, missing or rusty fender. $65 each. Ammunition / Ammo can holders. Spring loaded clamps. $50 each. Only two available. 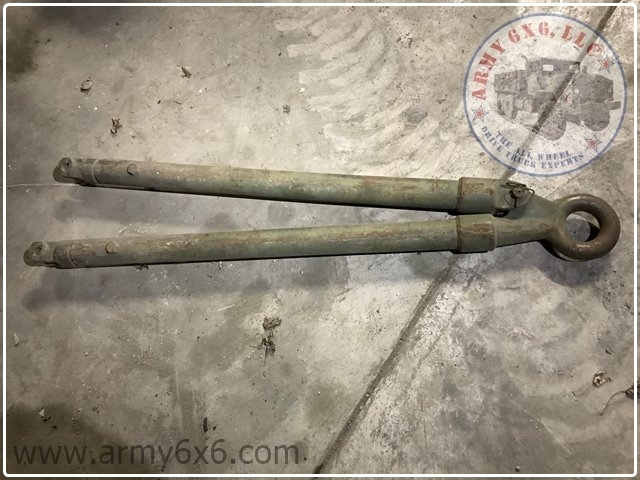 Support leg for m934 or m820 expanding van. Multiple available. $35 each. M16 rifle / gun holders for truck cabs. A neat accessory for your cab. Excellent take out Single rifle kit $40. Double rifle kit $65. Limited quantities available. 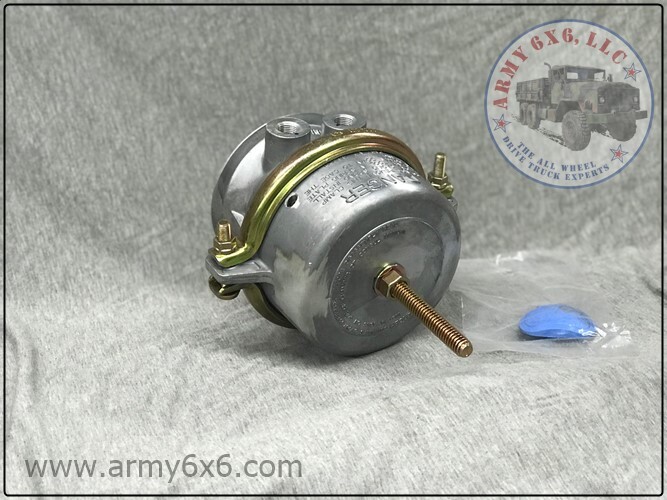 M939 5 ton 24 volt starter for NHC 250 Cummins Diesel. We have one good take out for $250 and one rebuilt unit for $300. 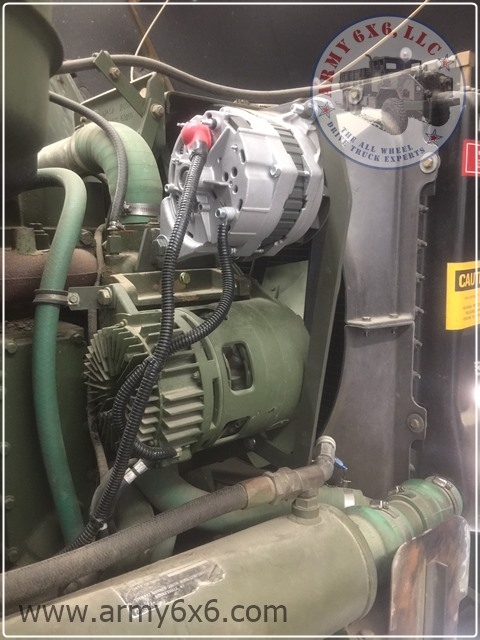 We also have new production starters for Cummins NHC 250, Cummins C series 8.3 and Continental multifuel diesels available. M35a2 bumper. Good used take off. $150. We also have other bumpers for m939 series 5 ton trucks in stock. Call with needs. 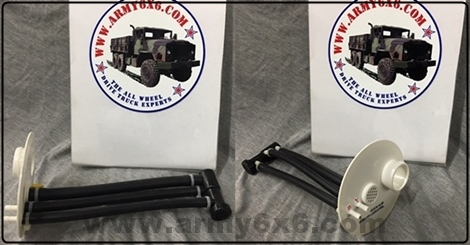 Antenna base and antenna for various truck models. 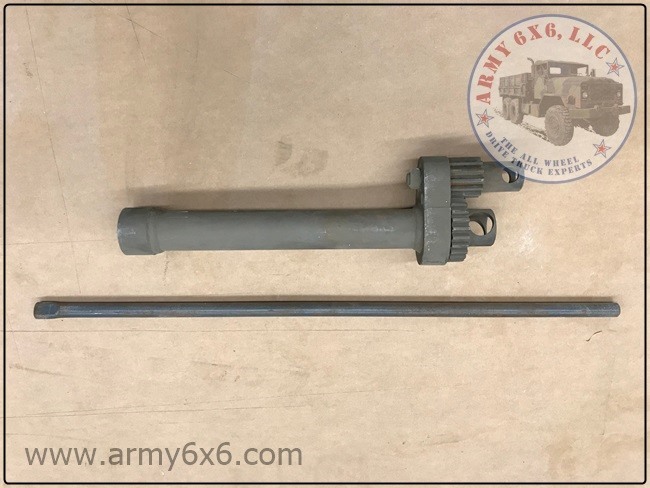 Most were removed from M809, M35 and M939 series 6x6 trucks. Base without spring mount for antenna $40. With spring mount for antenna $60. Antenna is $75. Limited quantity available. M35a2 good take out steering wheel. One small crack as shown which could easily be epoxied to repair. Nice overall condition. $50. 24v strobe light. We have other varieties and sizes of 24v strobes available. $20 and up. Call with needs. Fire extinguisher bracket for cab. $5 each. 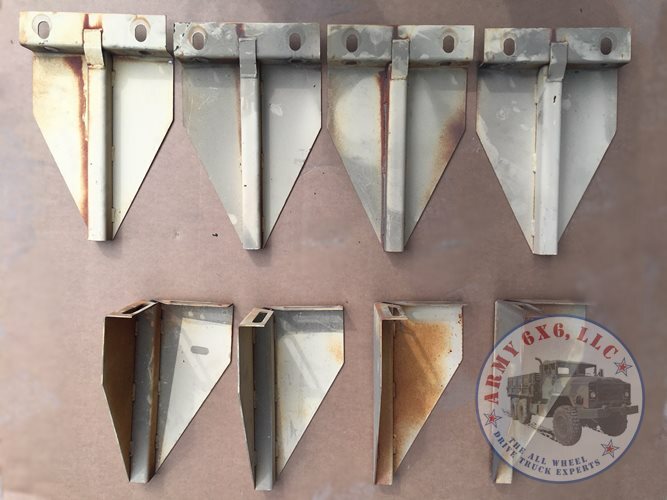 Mudflap brackets for M931A2, m932a2, m931a1, etc variant 5 ton semi tractors. D.O.T. Regulations require mudflaps on semi tractors. $75 for the pair. M809 series 5 ton fenders. Drivers fender has some damage to back portion as shown in picture. Passenger fender is in very good shape. They could use paint but fender lips, etc are solid. $75 each. We can ship! We also have fenders for m35a2, m939 5 tons. Call with needs. Standard spring style seat for m35a2 or 5 ton. $125 without cushions. 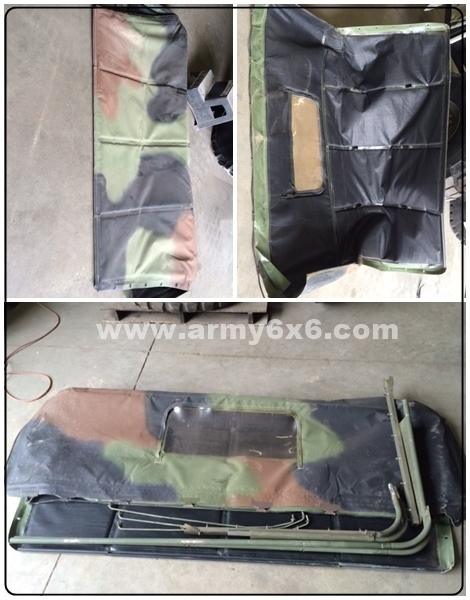 M35a3 style spring ride seat including cushions with bolsters as shown. Come A3 Seat and base as shown $275. We can ship! The A3 Style seat is comfortable and a nice upgrade. Seat cushions and covers Also available. Call with needs. M939 series 5 ton new hard tops. These are brand new kits in the box. $3,000 each. Limited quantity. We ship! Fits m923, m923a1, m923a2, M931A2, m931, m931a1, etc! Driveshafts of various lengths for m35 . All used take take off. $75and up. Call with needs.